If you're working out a lot, it is essential to get a sufficient amount of protein, which means having protein with every meal, whether it be chicken, eggs, whey etc, but sometimes this isn't so tasty. 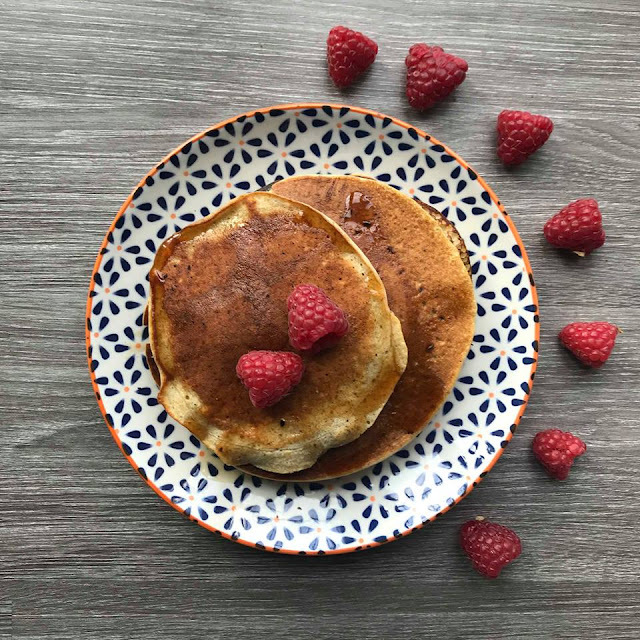 So in my quest to make delicious meals healthy, i've got a lovely little pancake recipe for you to try. It's really simple and you can make it as healthy or naughty as you want with your choice of toppings. 2. Pulse blend until smooth, if the mixture is too thick, add more milk. 3. Add oil to a hot pan and pour a small portion of the mix to the pan. 4. Once the bottom is set and golden brown ( a few minutes), flip and cook the other side for a few minutes. 5.Keep making pancakes to your ideal size and top with your choice of topping!